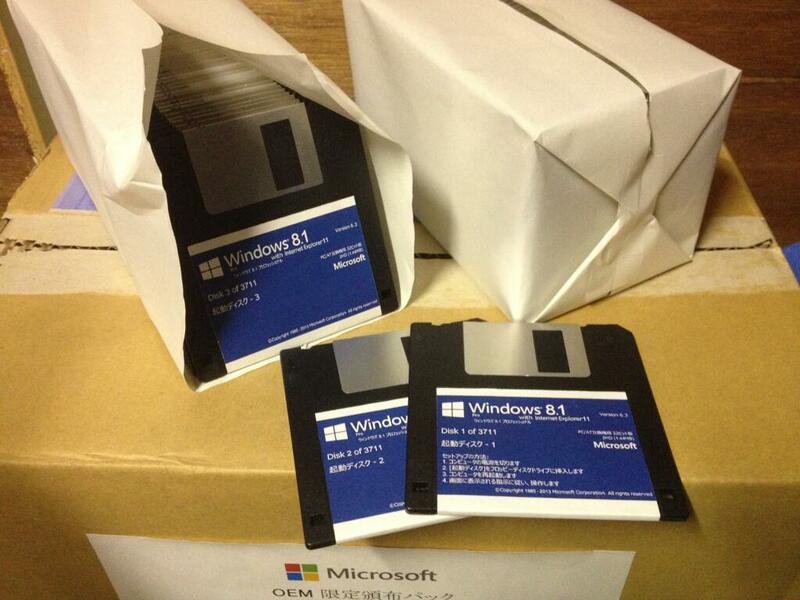 It came out that the new Windows 10 doesn't ship anymore with a diskcopy.dll containing the ME floppy boot disk (please read as MS-DOS 8.00). Of course the floppy image can be extracted from *any* OS (XP to 8.1) and although there is still the possibility of using FreeDos or one of the other "alternative" DOSes freely available, it would be nice to provide an easy way to get the file (that is not redistributable) though obviously the internet is full of "DOS boot floppies" (which may however be of dubious origins). Any idea of the whereabouts of a "legal" downloadable file(s) (i.e. hosted on MS servers) would be appreciated. Using DISKEXTRACT does not get the cab files. You can undelete it by editing the fat table. nice find that it is in SP3 , I had expected that a diskcopy.dll could be *somewhere* in one of the smaller KB's, but the (huge) SP3 will do for our Windows 10 challenged friends. Until it gets whitelisted, it's easier to download from the wayback machine than go through all the clicks necessary to download directly from 911cd, that's why. Even faster would be to not use Firefox. and some instructions/background, a direct link to an unknown executable is the least preferred way to provide info. Of the 34 pages we tested on the site over the past 90 days, 1 page(s) resulted in malicious software being downloaded and installed without user consent. The last time Google visited this site was on 2015-09-01, and the last time suspicious content was found on this site was on 2015-08-27. 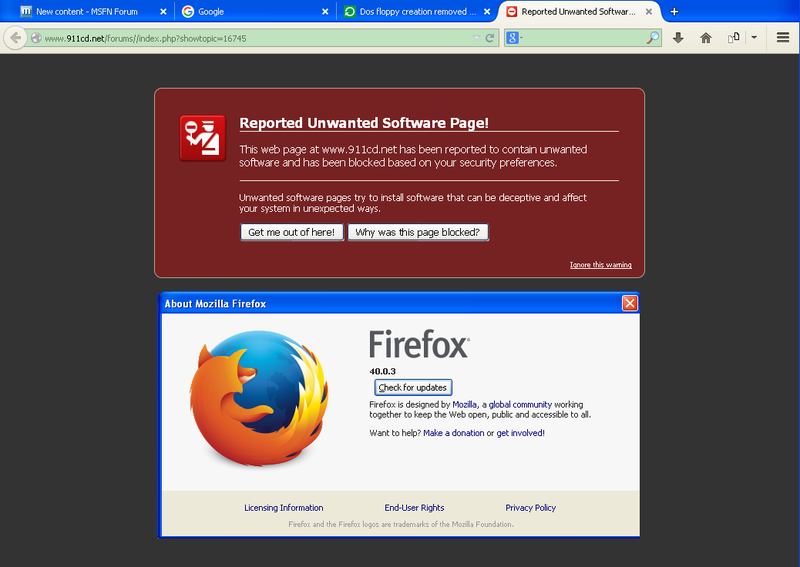 Malicious software includes 8 exploit(s). and of course if out of several thousands pages on 911cd.net google visited only 34 and found 1 problem it may well issue the warning for that 1 (one) page and not warn about the whole site. Very appropriate in a topic about changes in Windows 10, specifically the point being that at least in one of those 3711 floppies there still was a DOS floppy image and in none of the <put a really huge number here> floppies making up the Windows 10 there is one (they wanted to save space ).